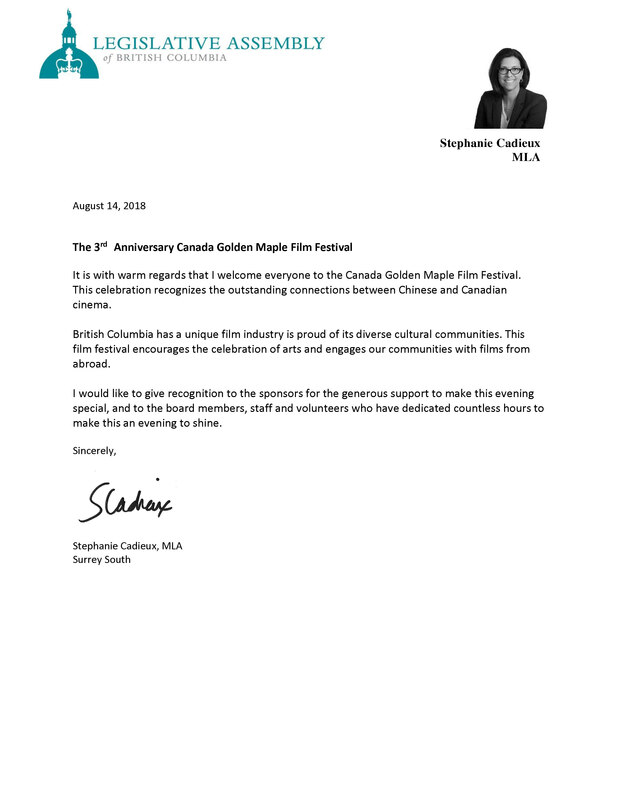 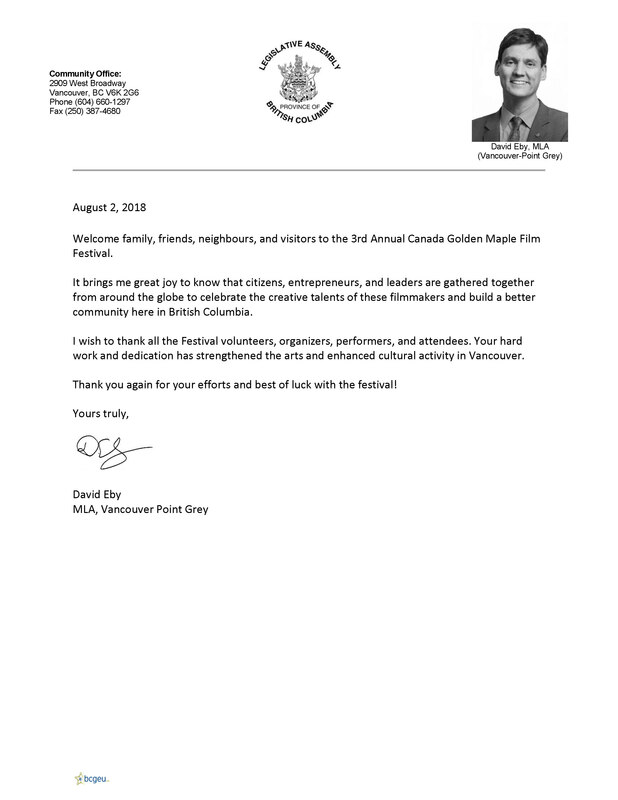 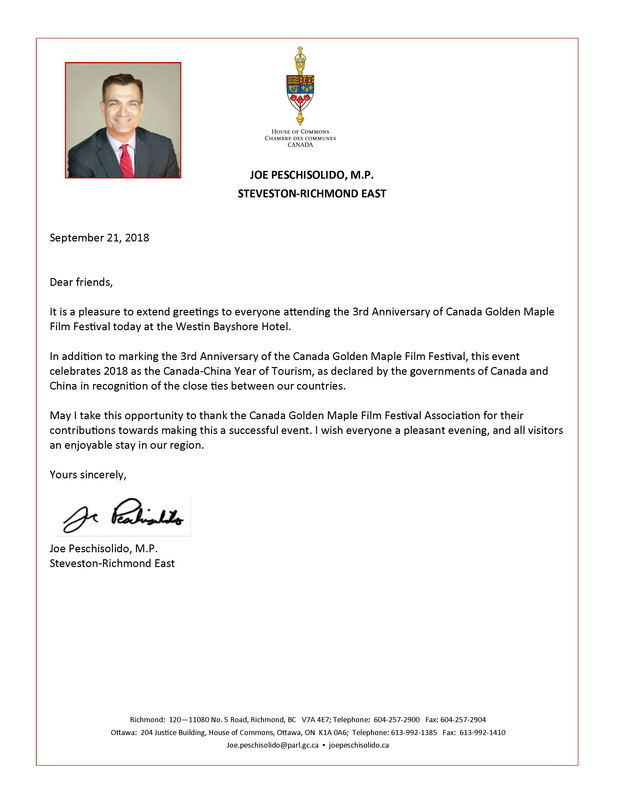 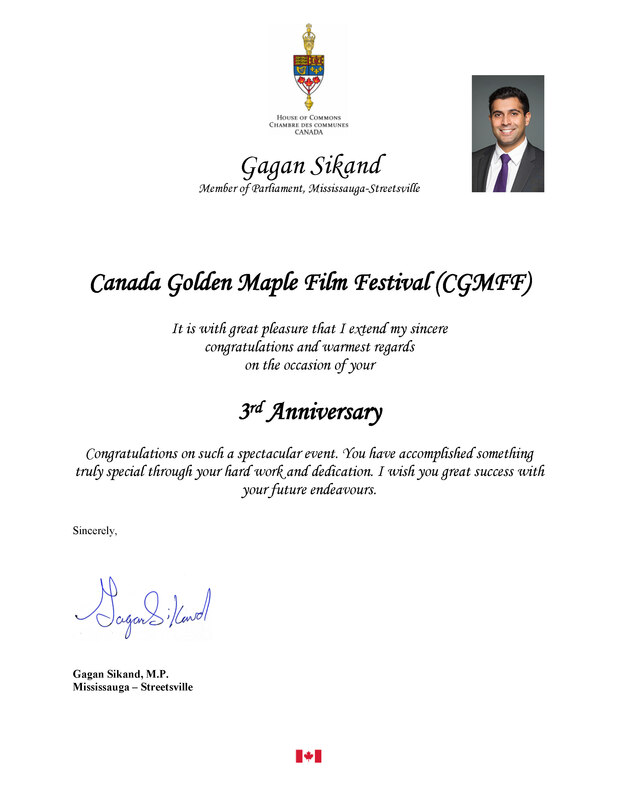 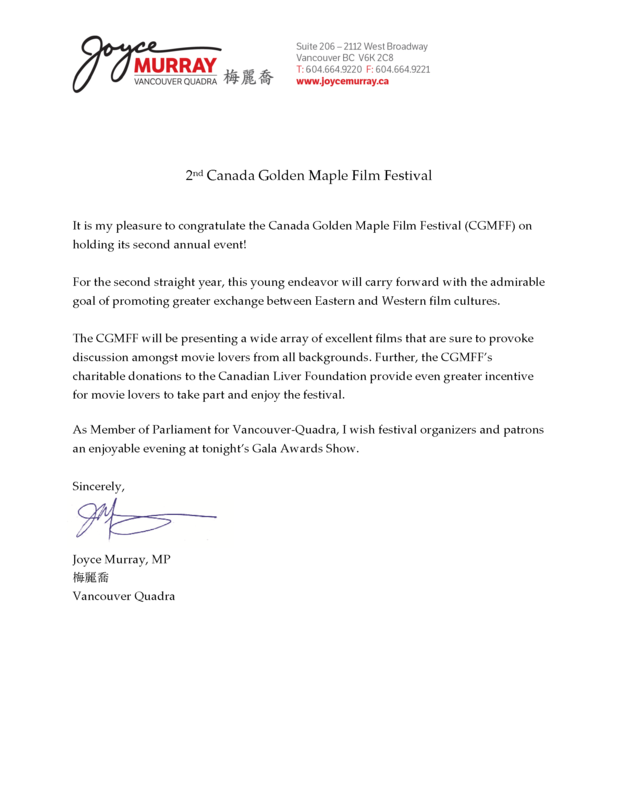 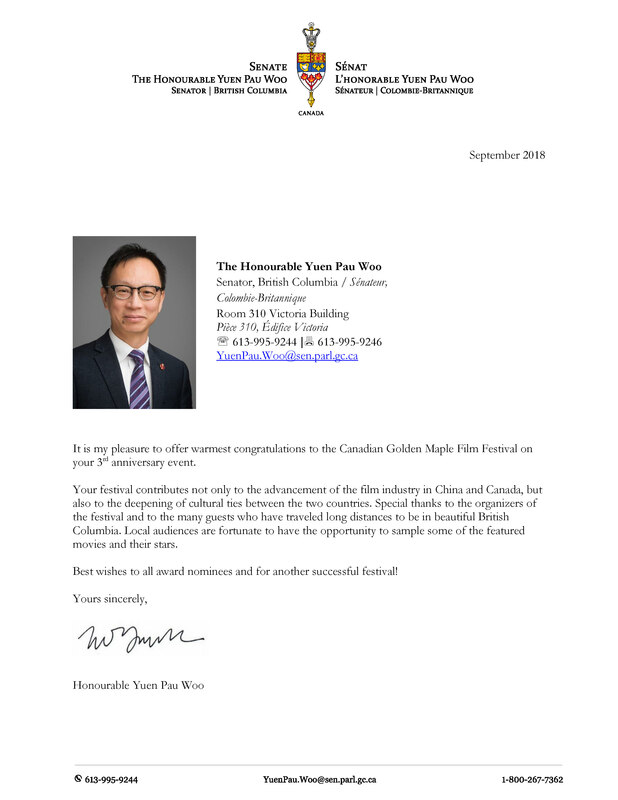 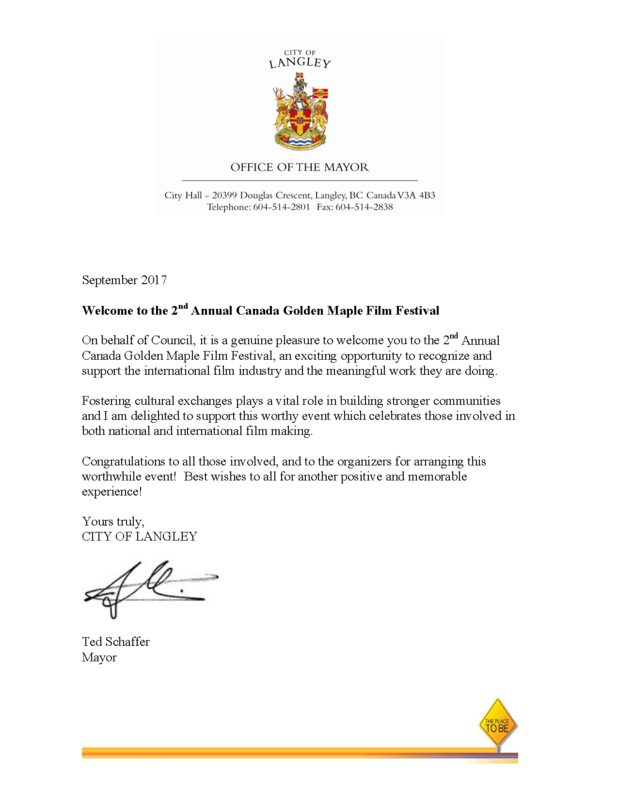 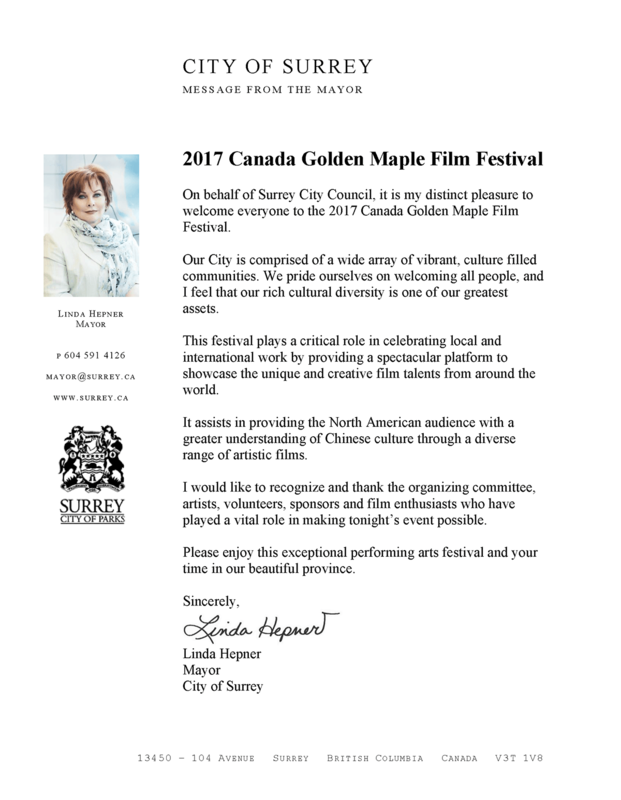 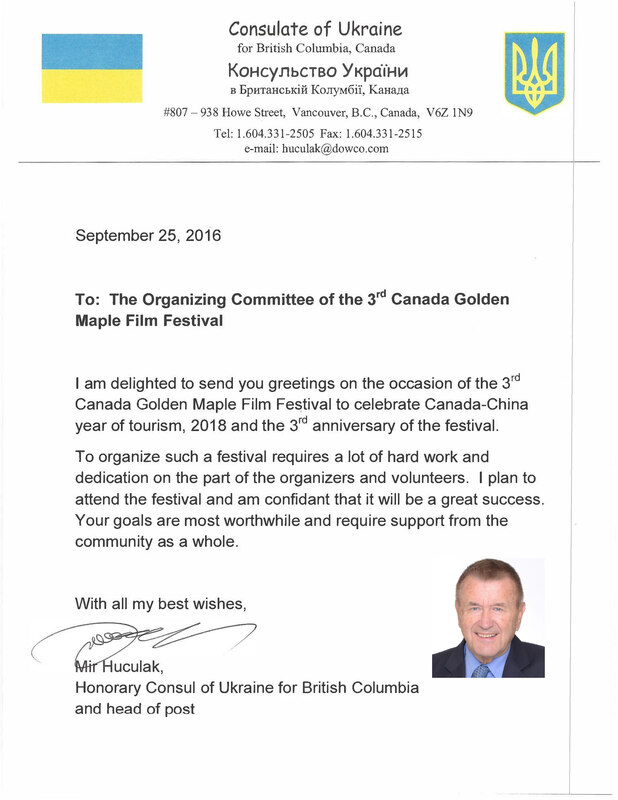 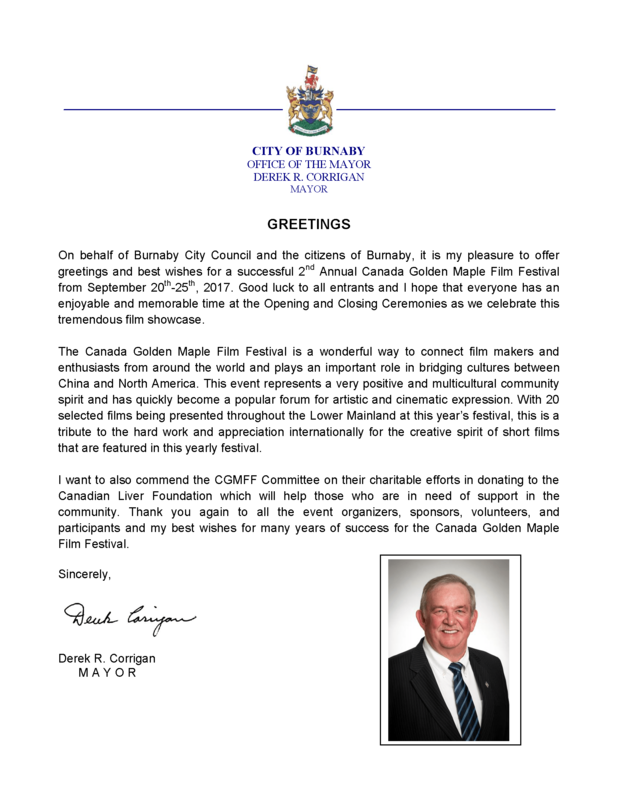 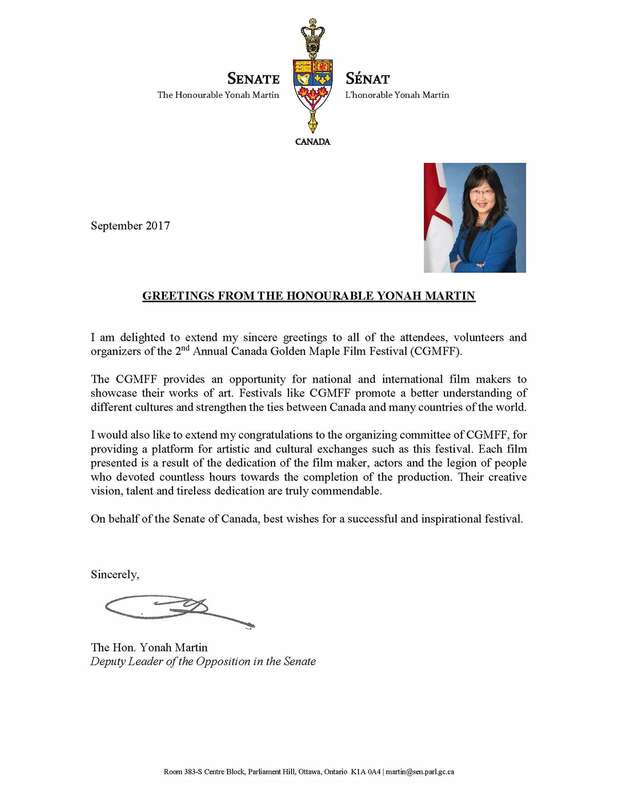 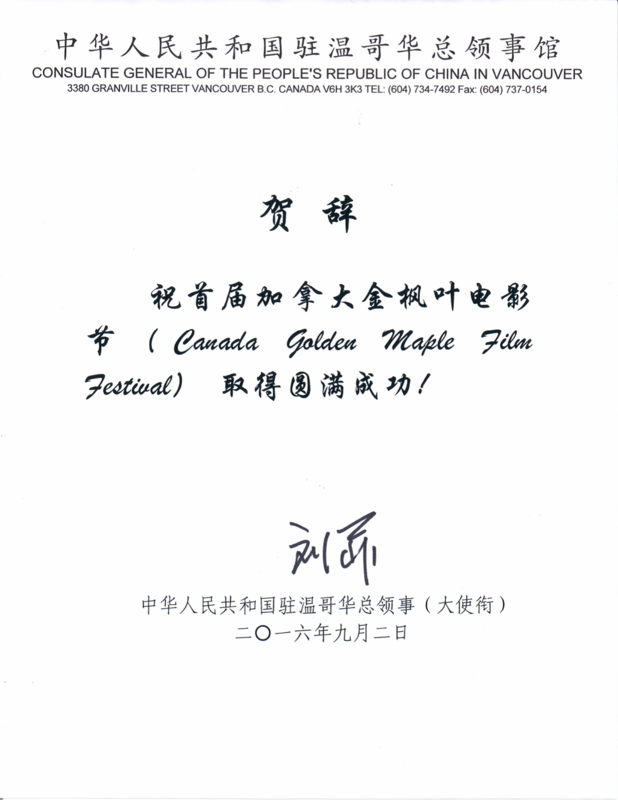 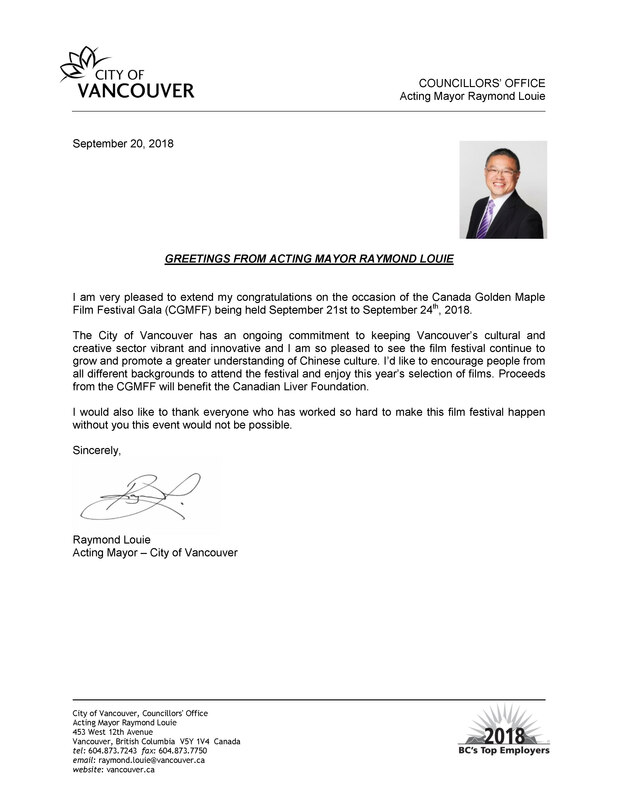 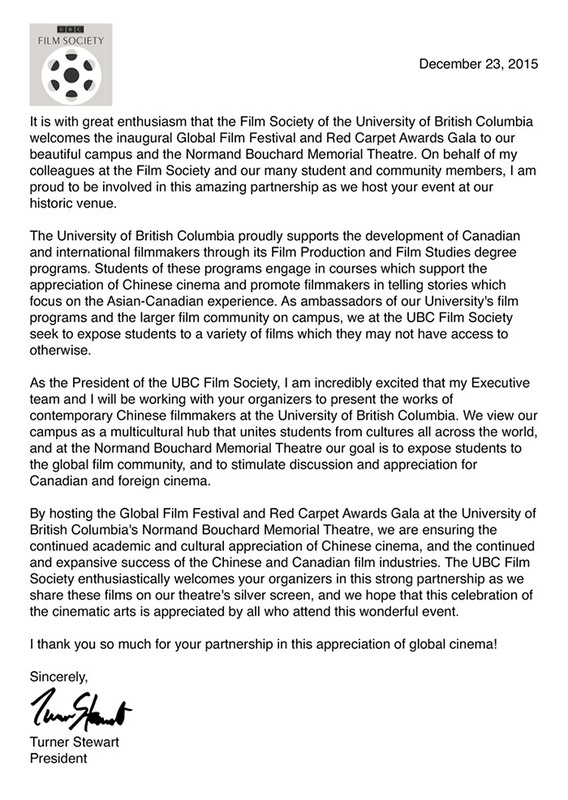 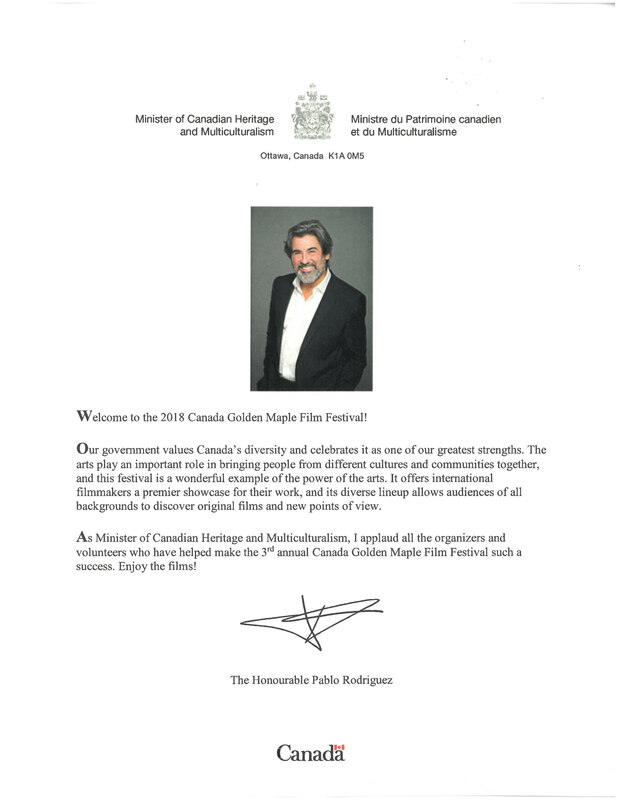 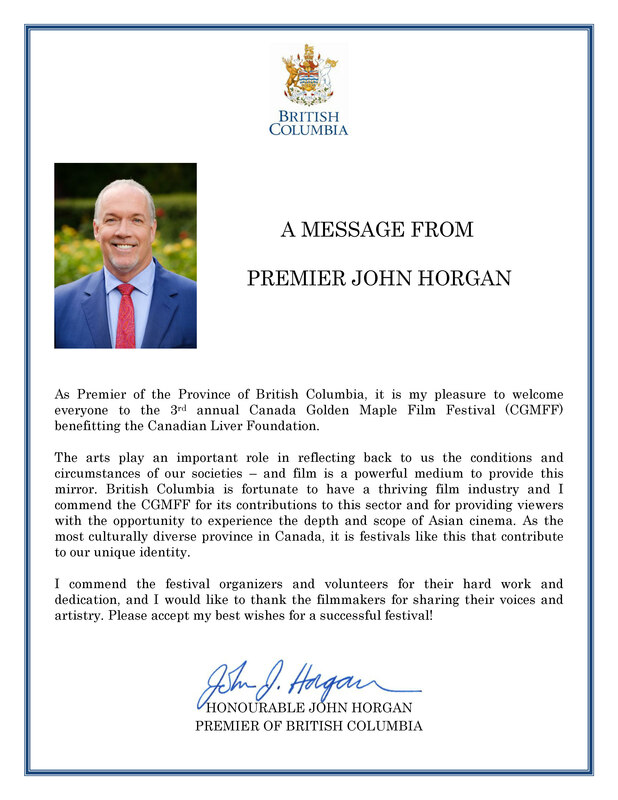 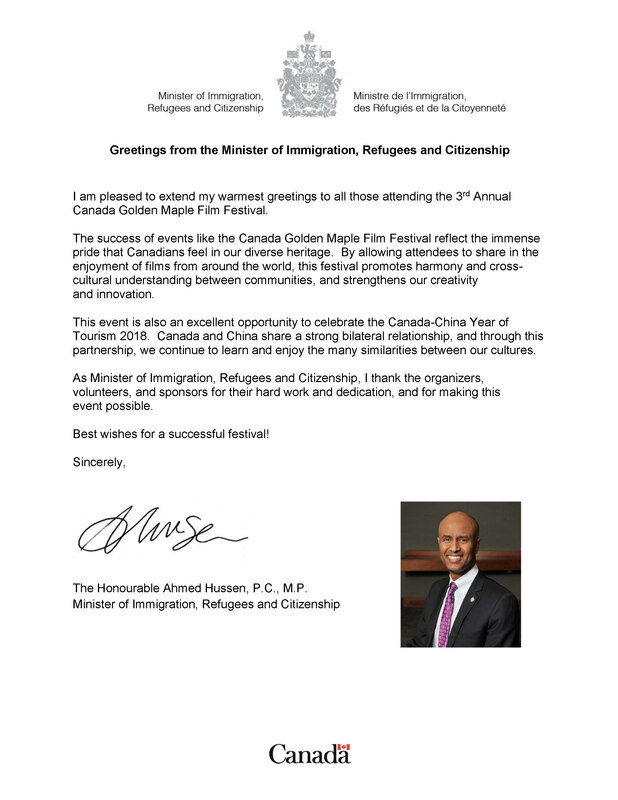 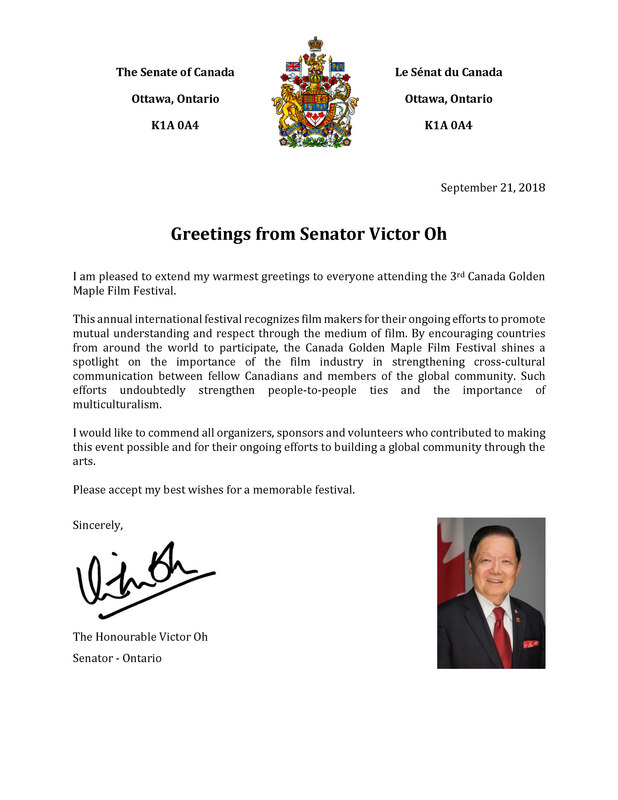 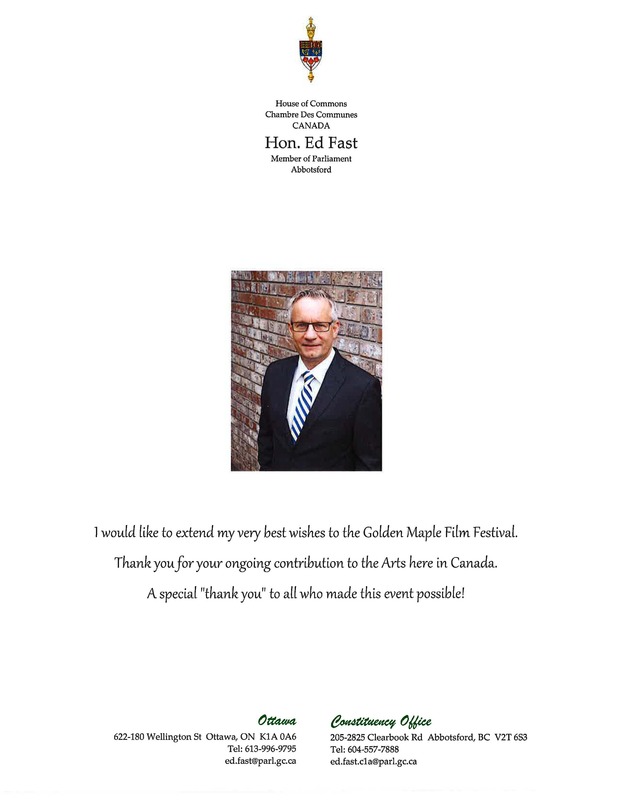 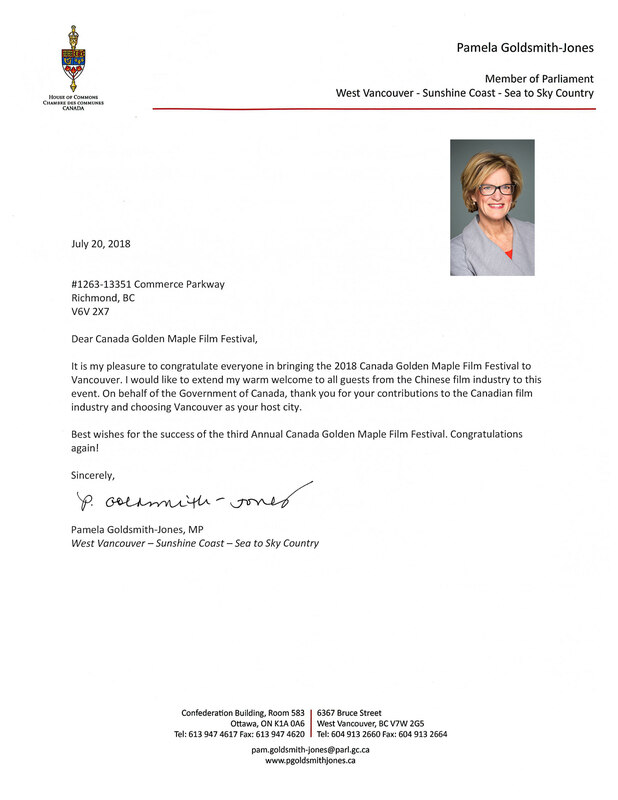 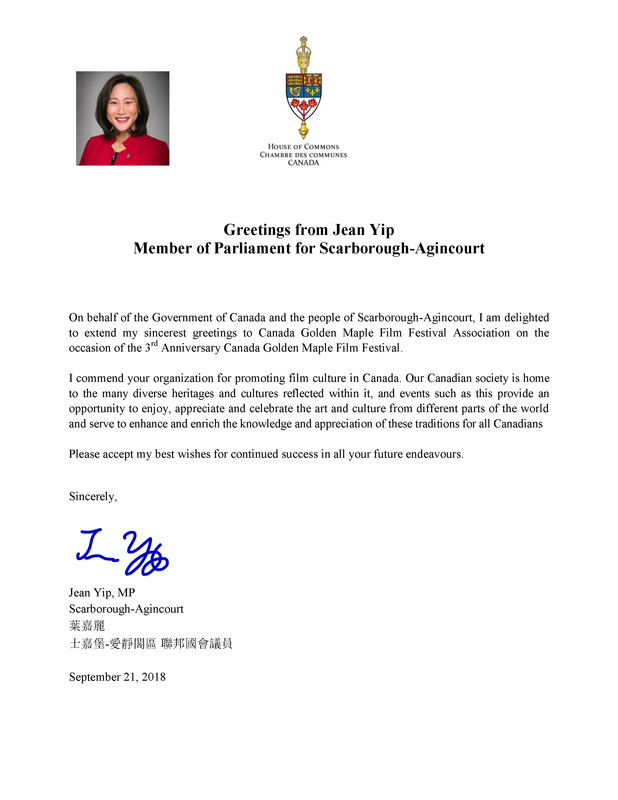 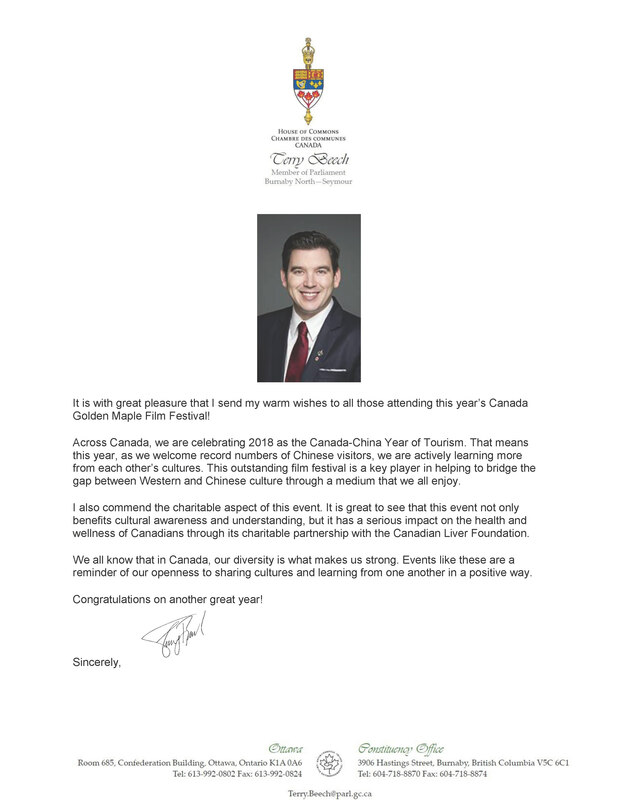 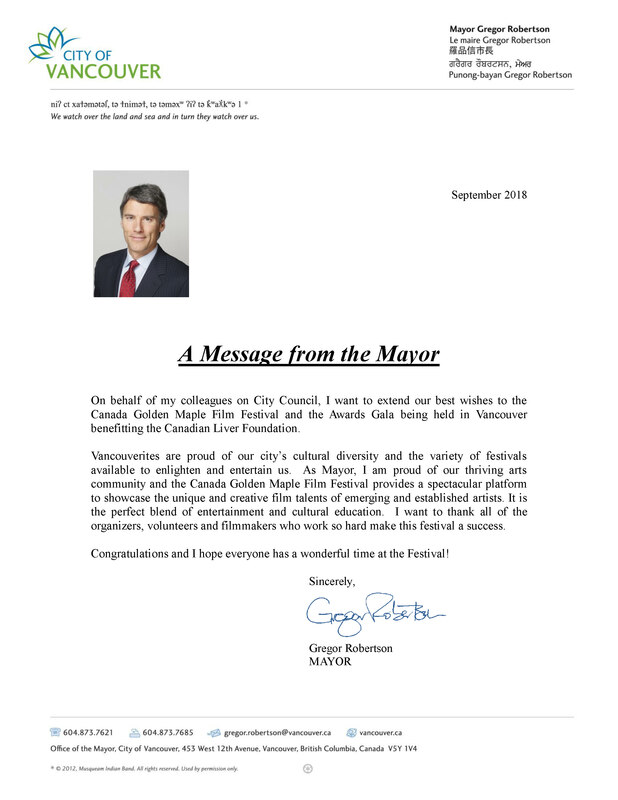 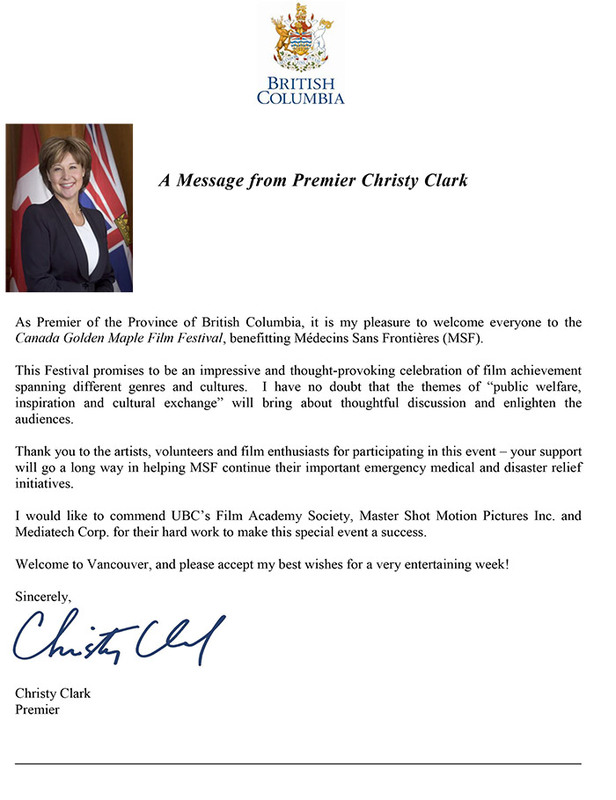 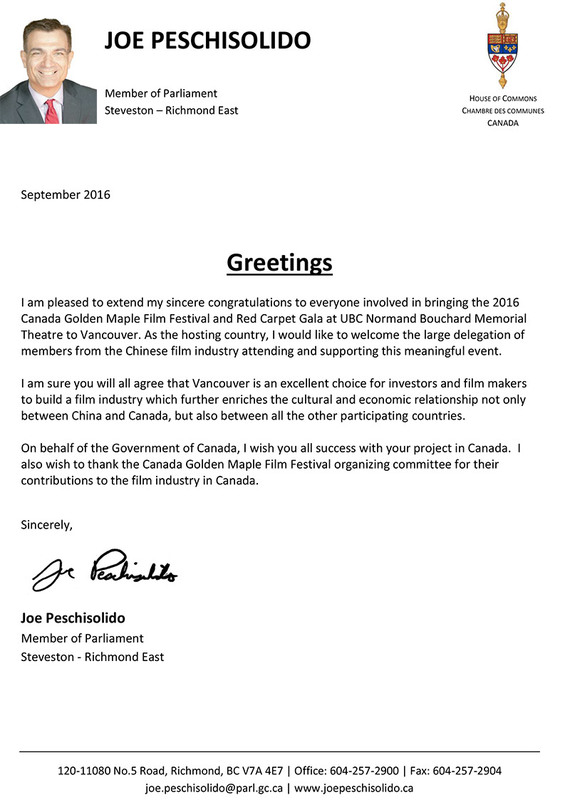 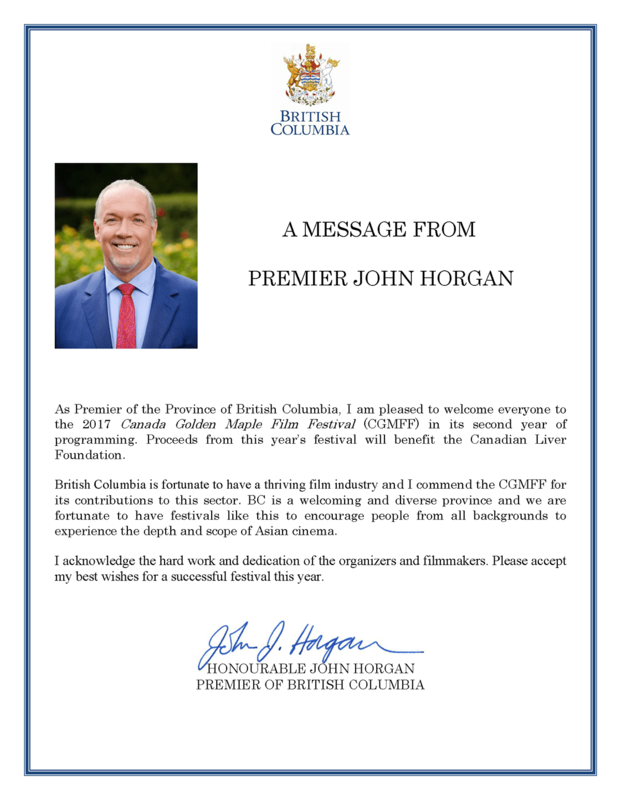 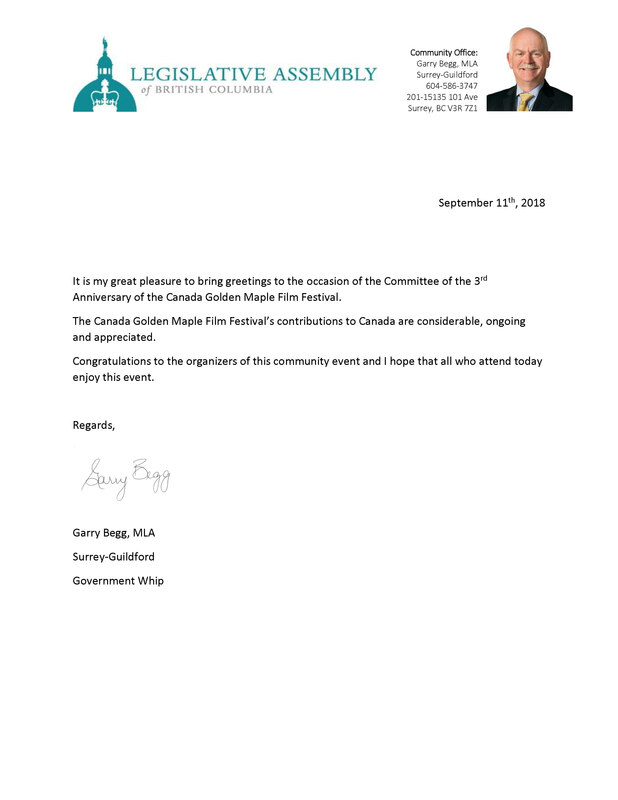 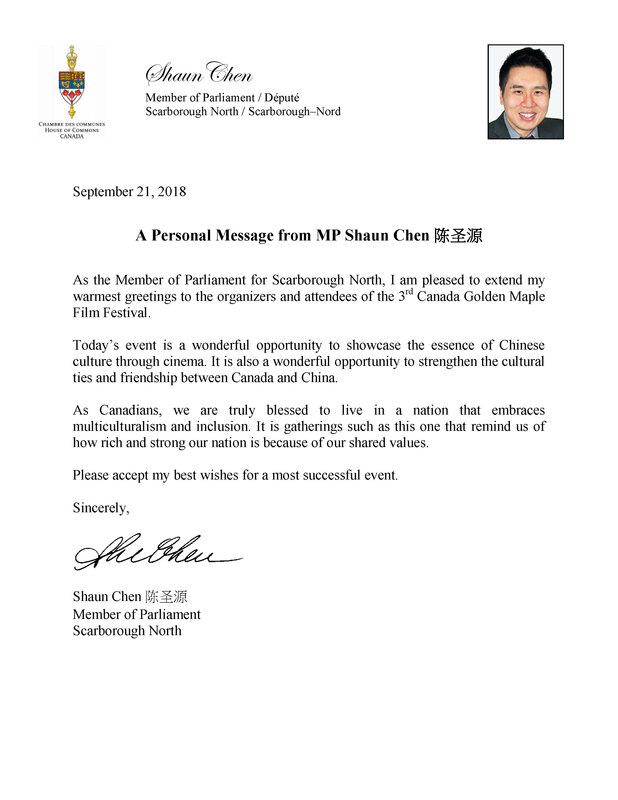 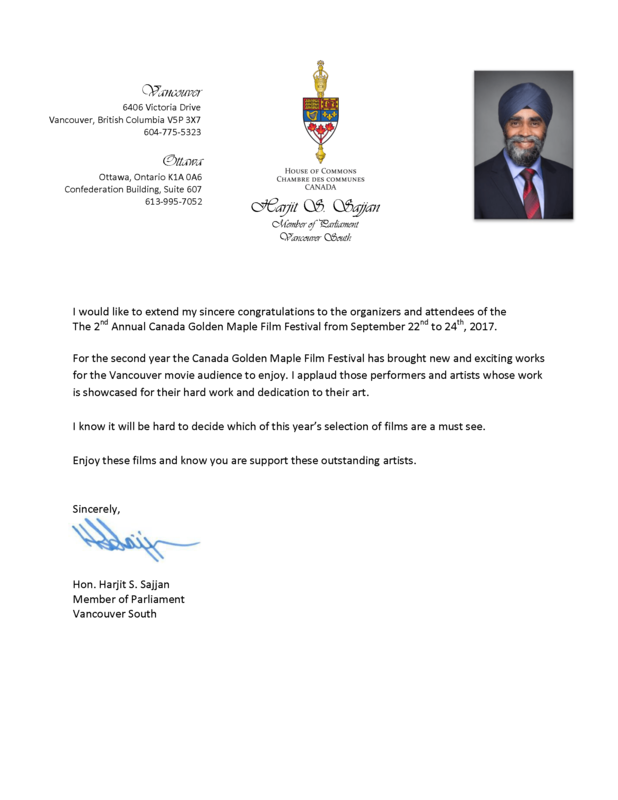 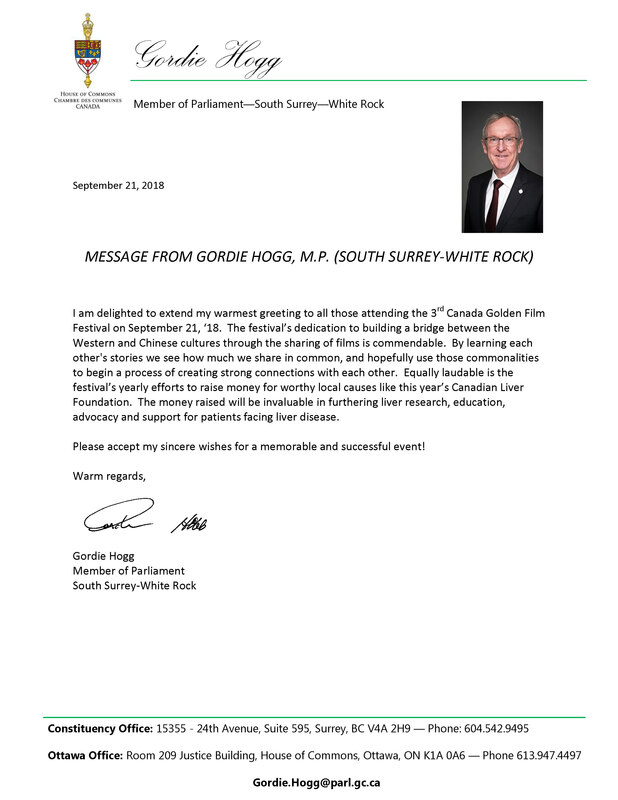 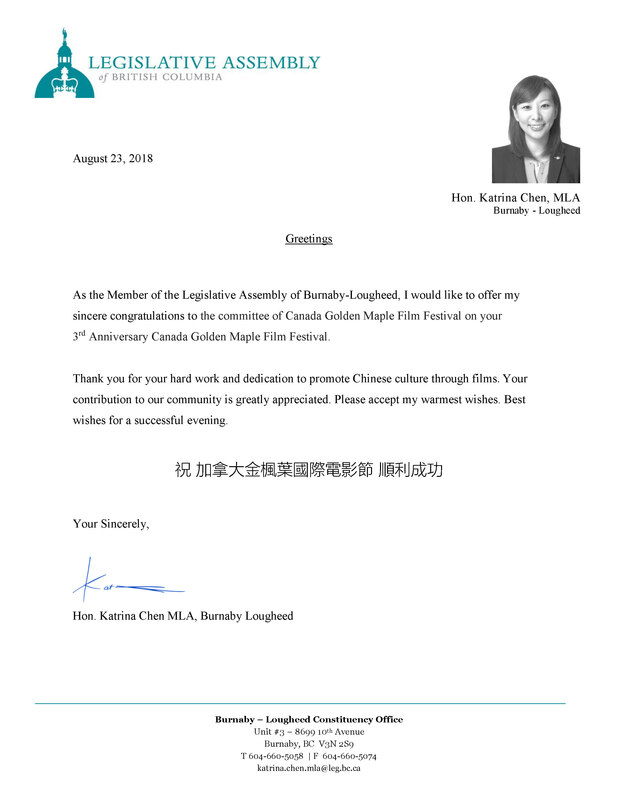 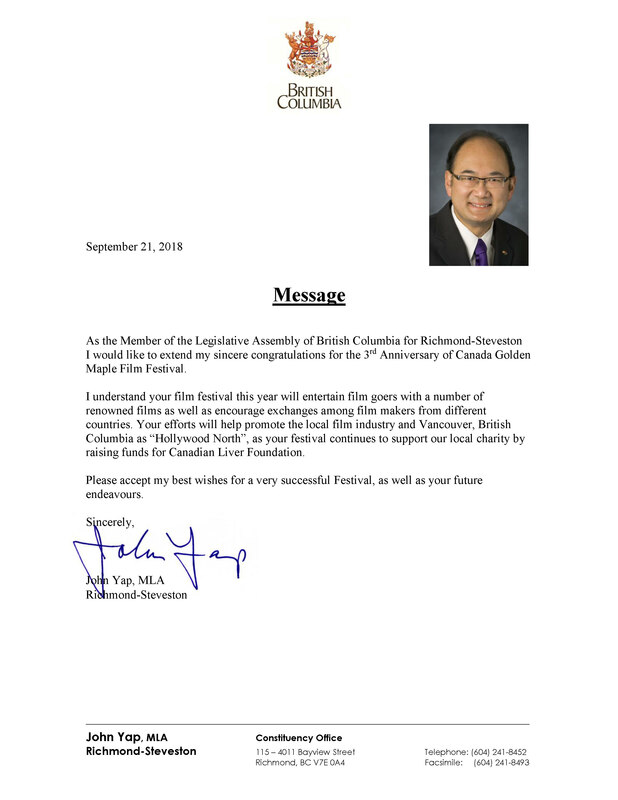 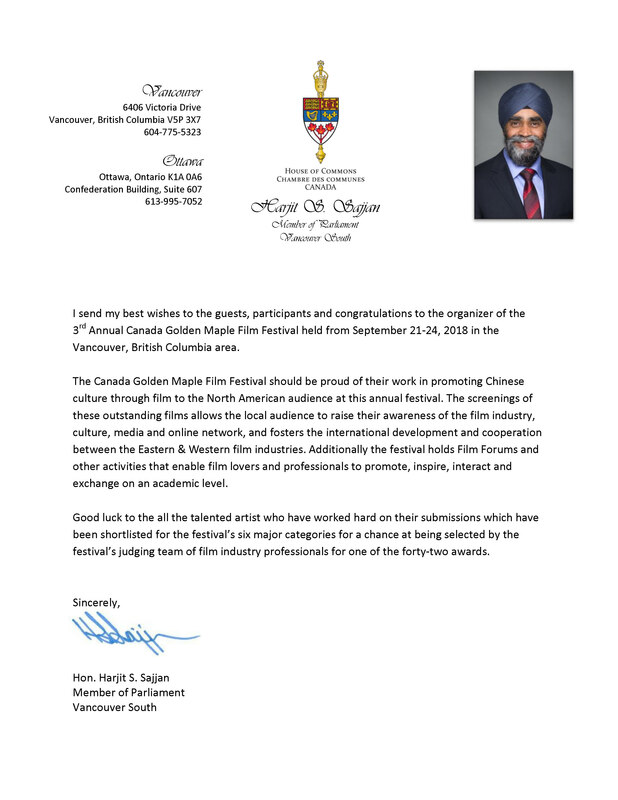 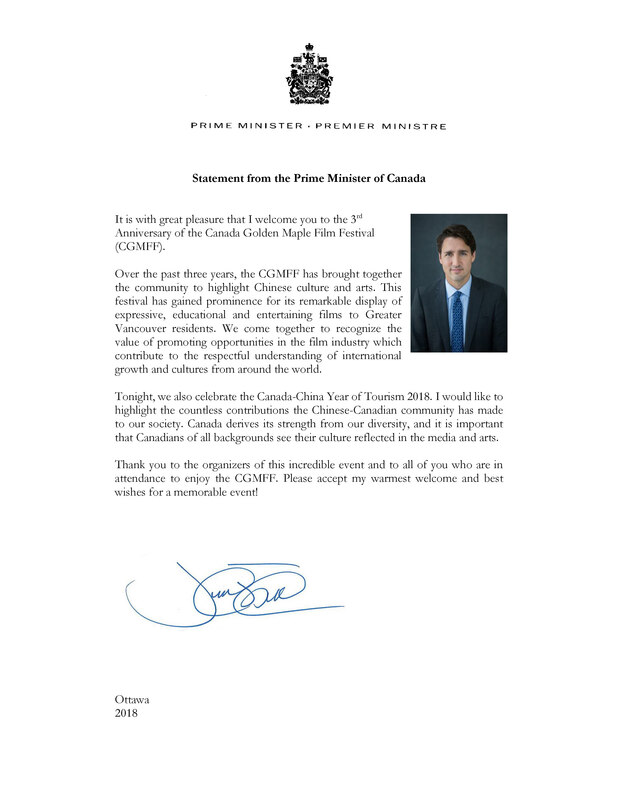 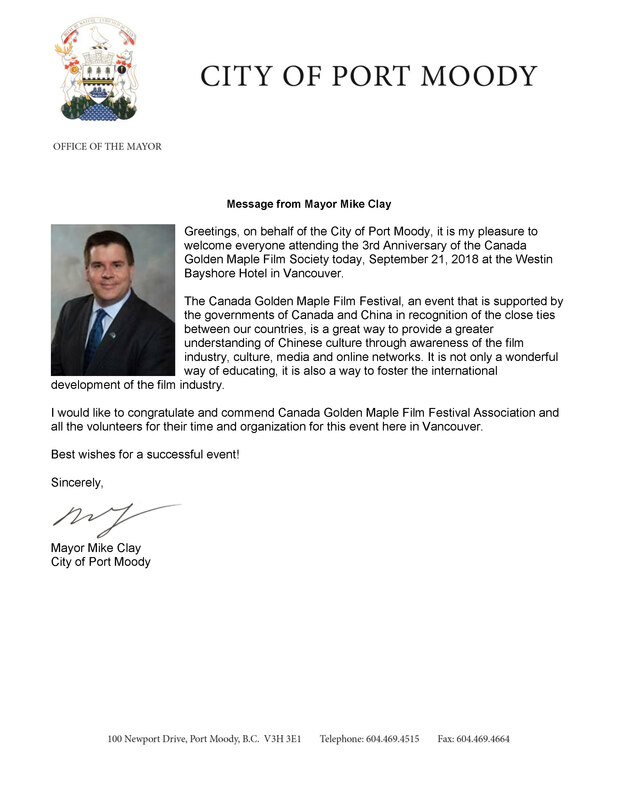 The Canada Golden Maple Film Festival is the first international film festival in Canada that receives the most supports from all three levels of both Canadian and Chinese government official. 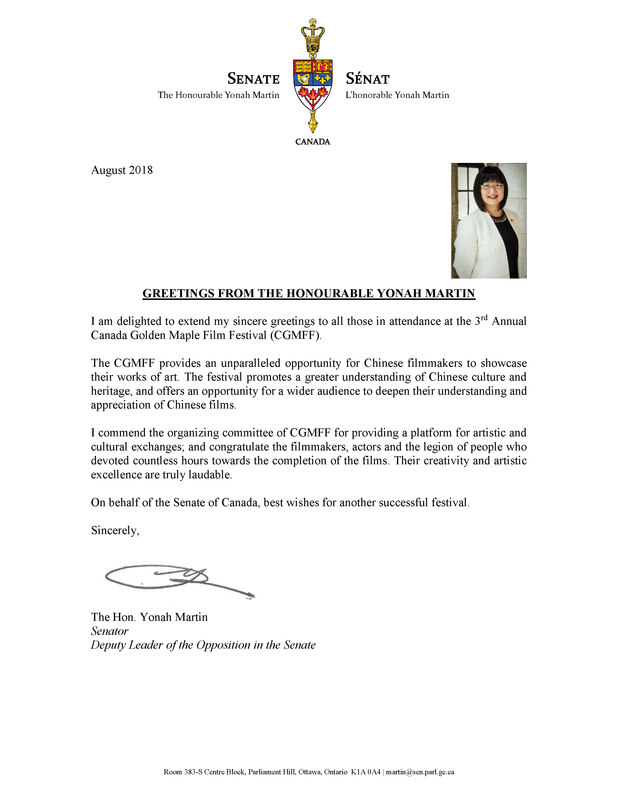 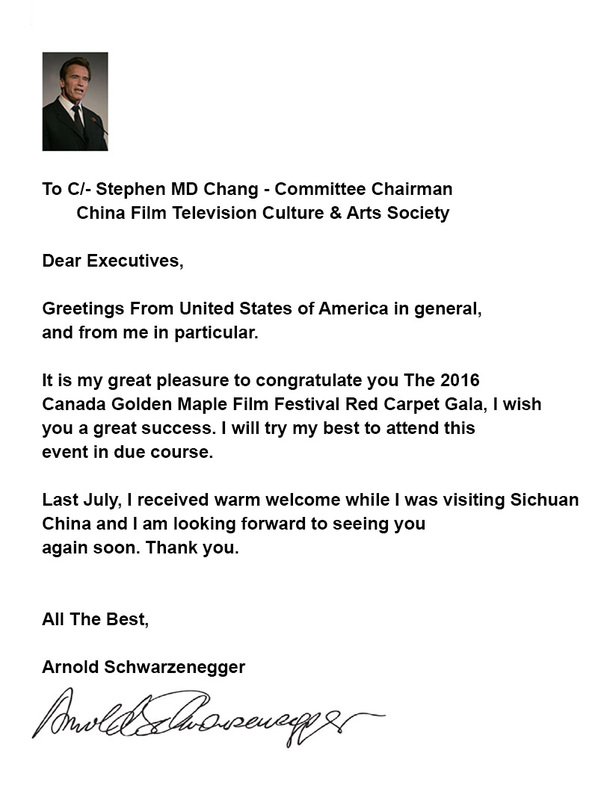 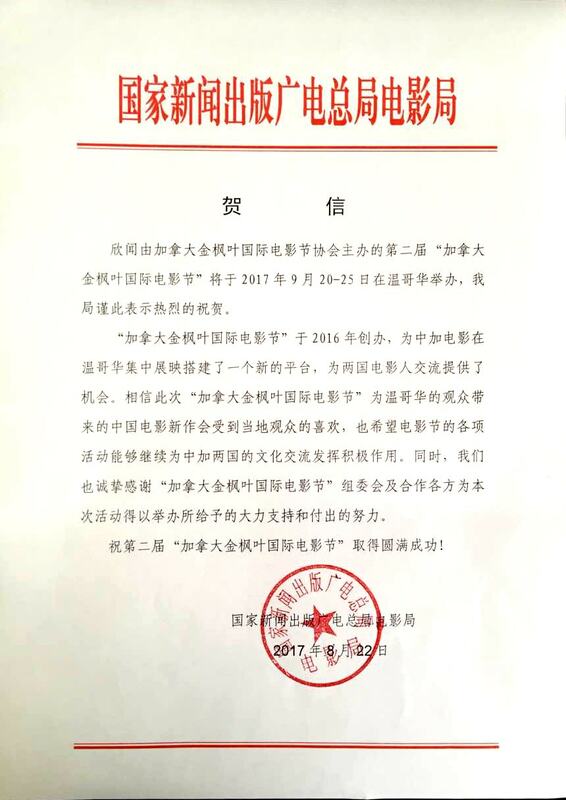 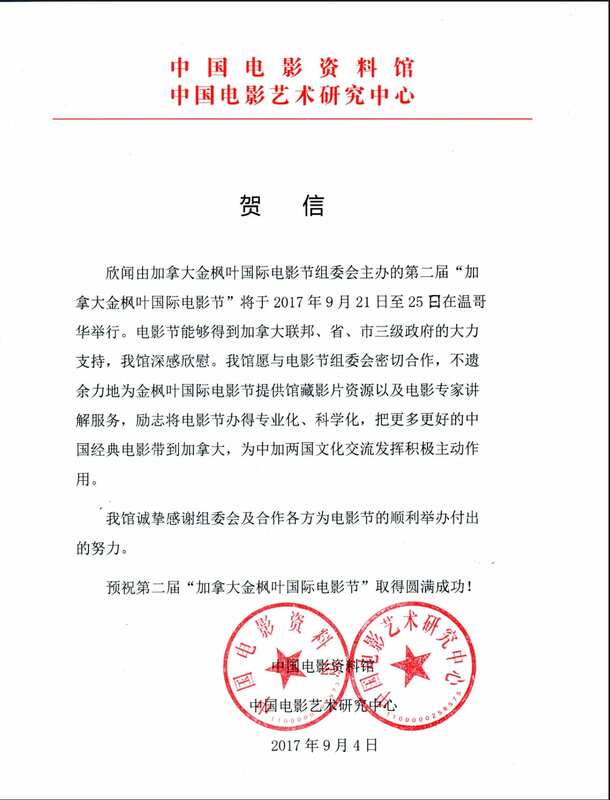 The Film Festival will be the spread of Chinese culture through films to the North American audience in the means of promote a greater understanding of Chinese culture. 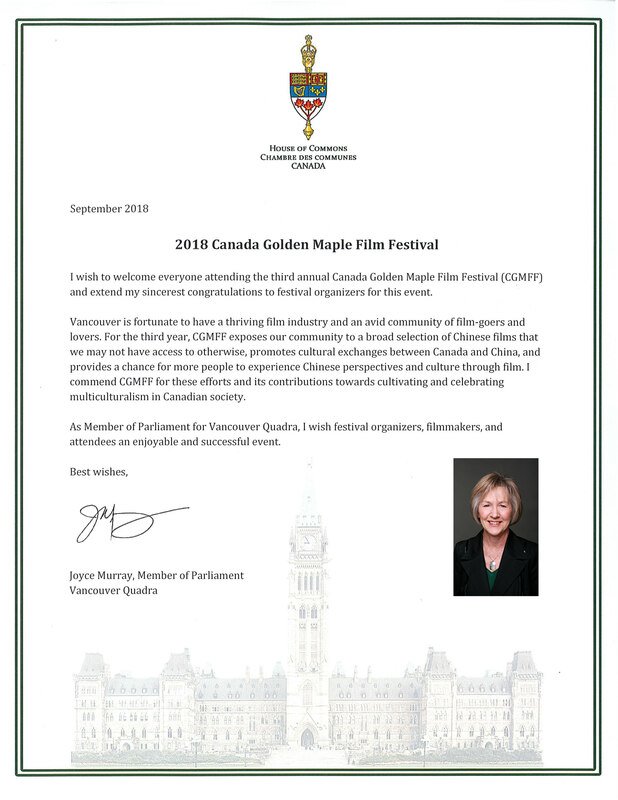 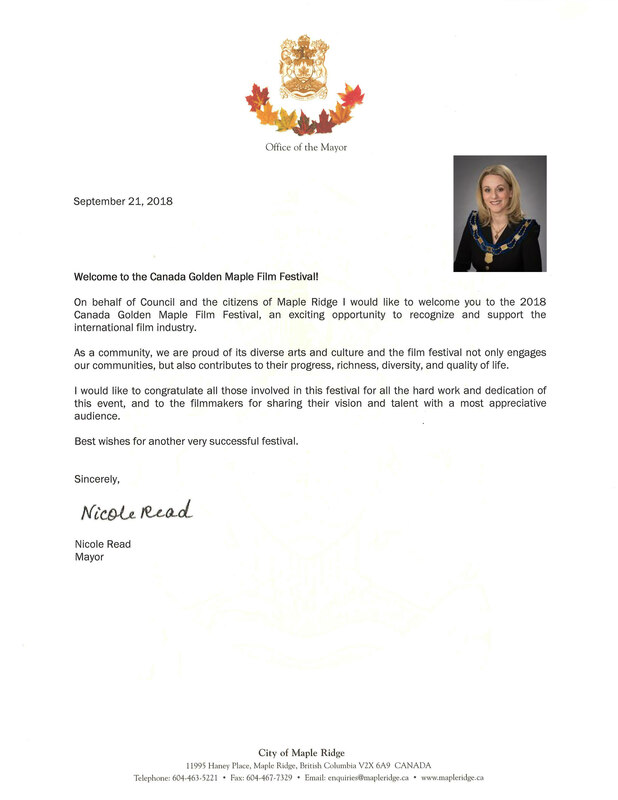 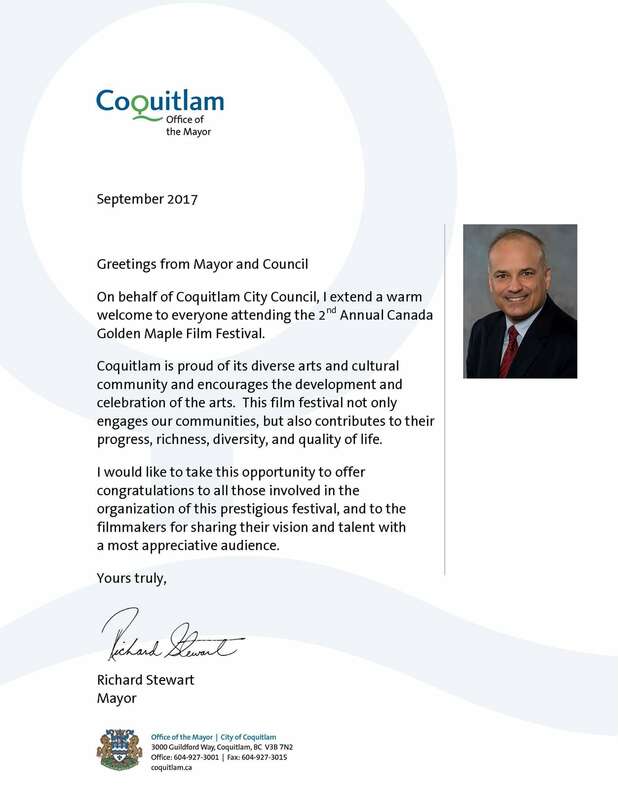 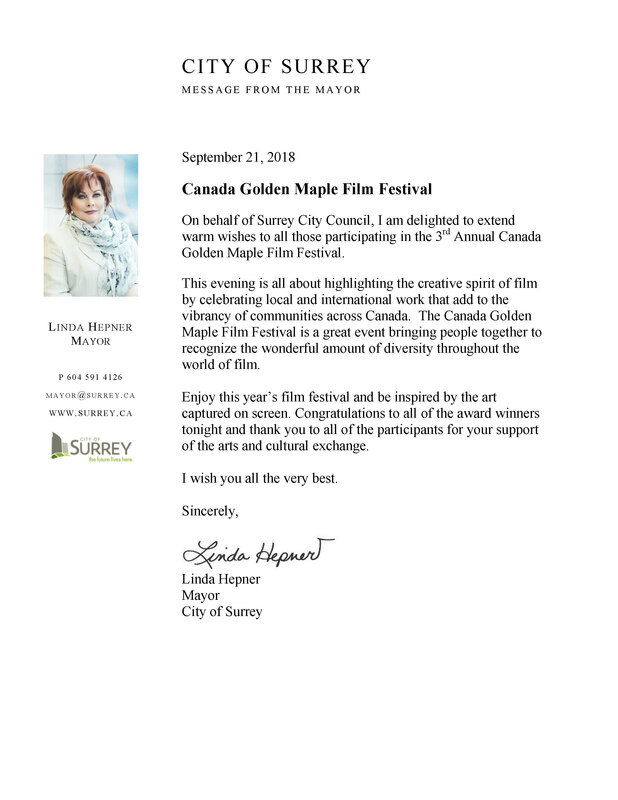 The Canada Golden Maple Film Festival is being held in September every year in British Columbia, Canada, and there will be screenings of outstanding films throughout major city's theaters. 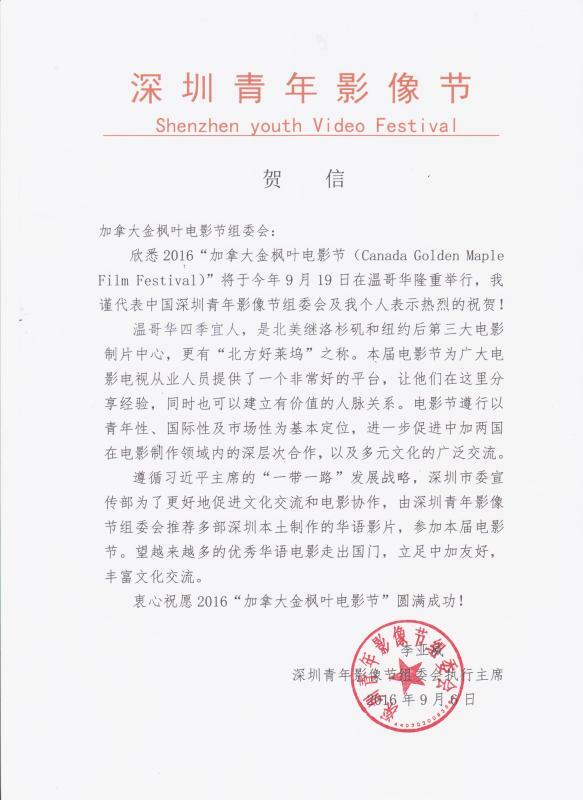 The highlights and characteristics of the film festival is to raise awareness on the film industry, culture, media and online network, and to foster the international development of the film industry. 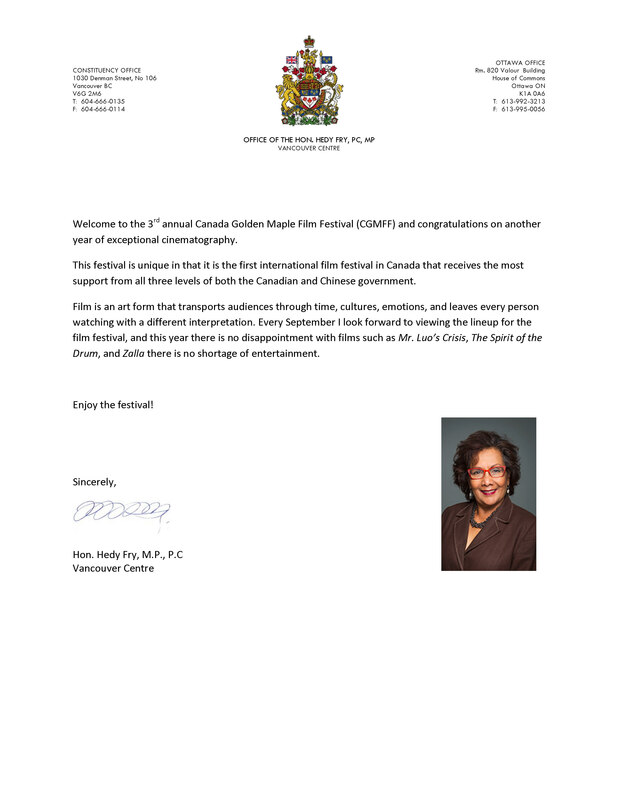 The film festival's judge team consists of directors, screenwriters, special effects experts, critics, filmmakers and related professionals from the U.S and Canada. 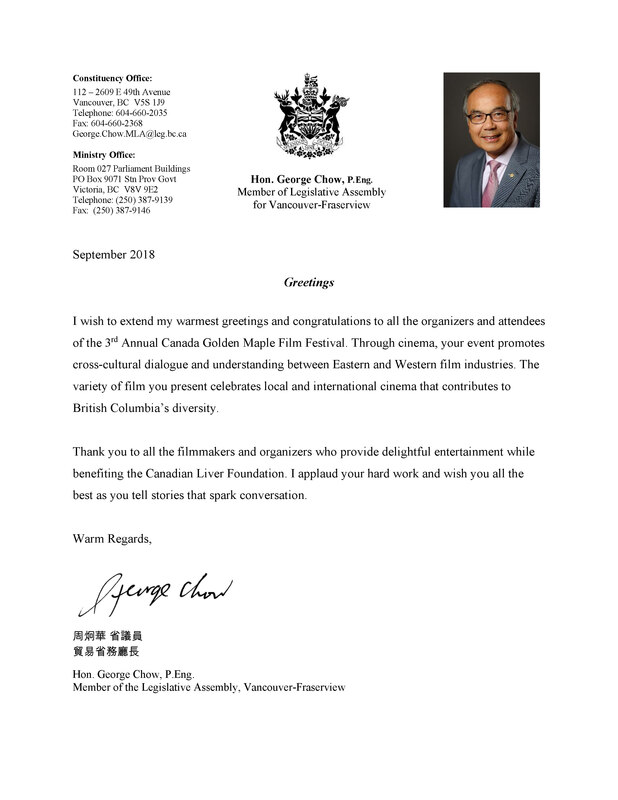 Besides a shortlisted film awards, the film festival have also arranged Film Forum and other activities for film lovers and professionals to promote, inspire, interact and exchange at an academic level. 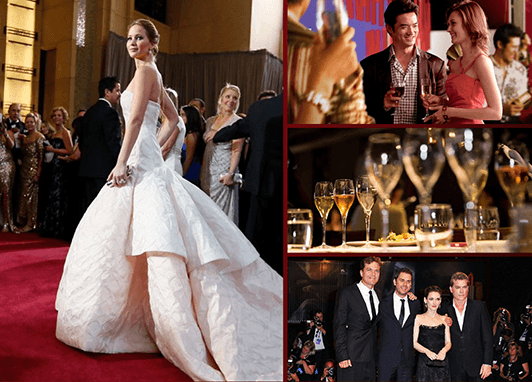 Dignitaries, world industry leaders, experts and scholars, film artists, movie stars, film judges, cinema managers, social activists, philanthropist, press media. 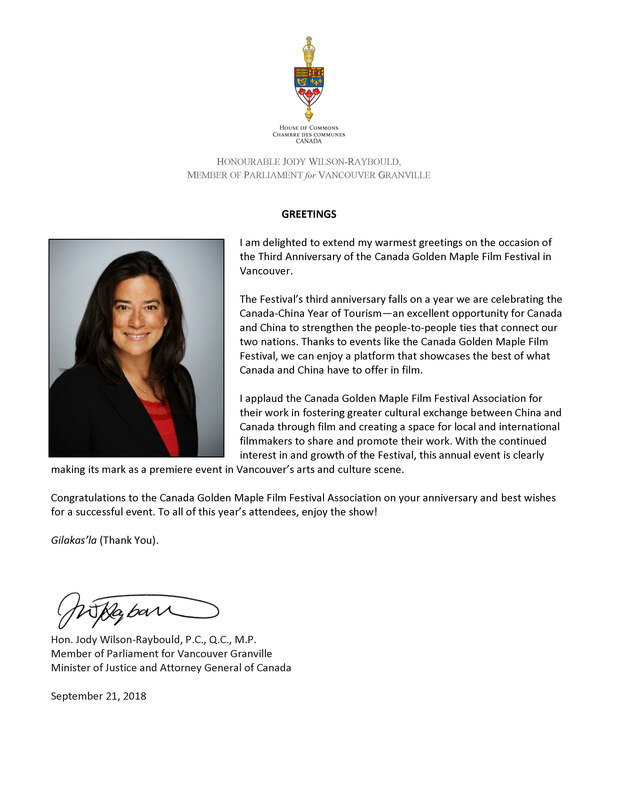 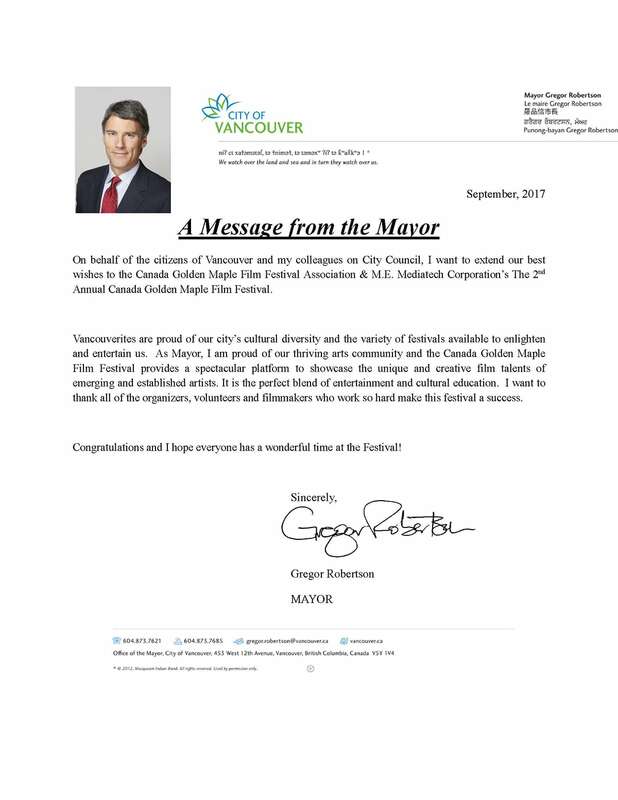 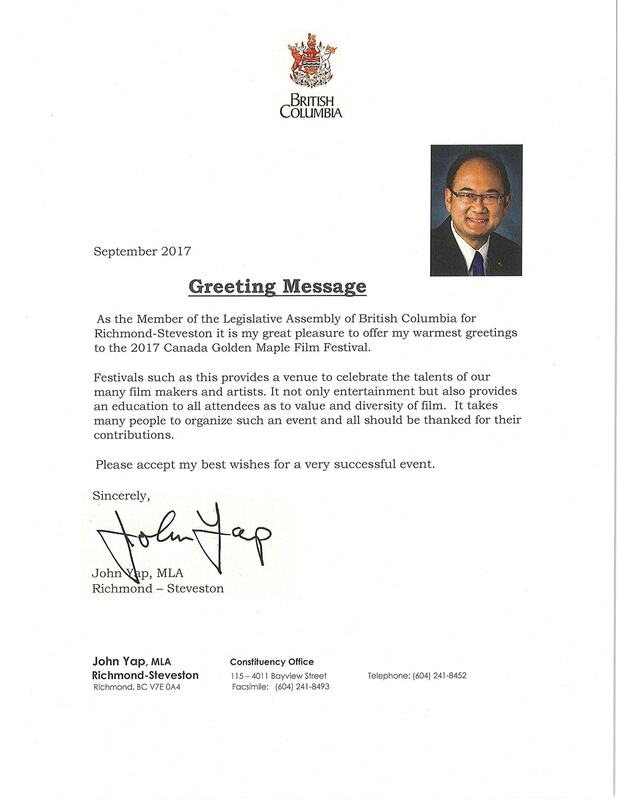 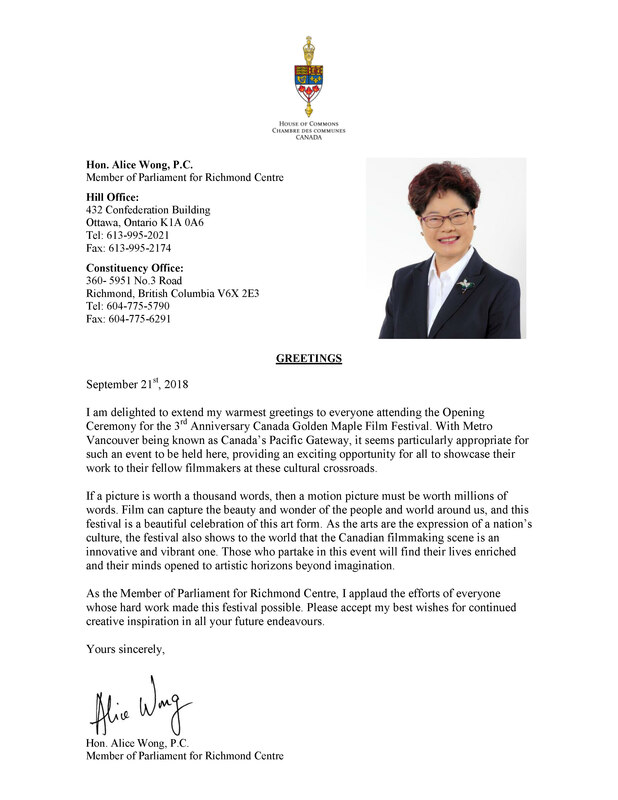 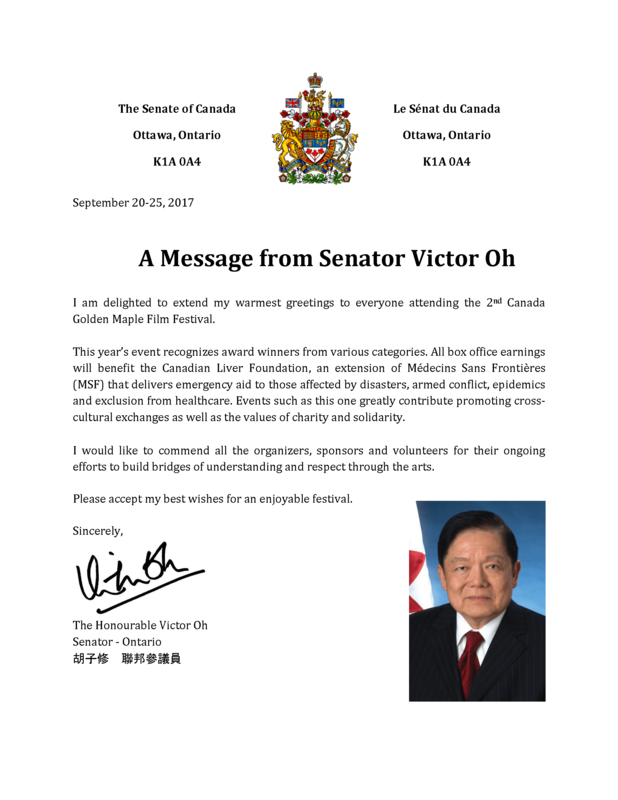 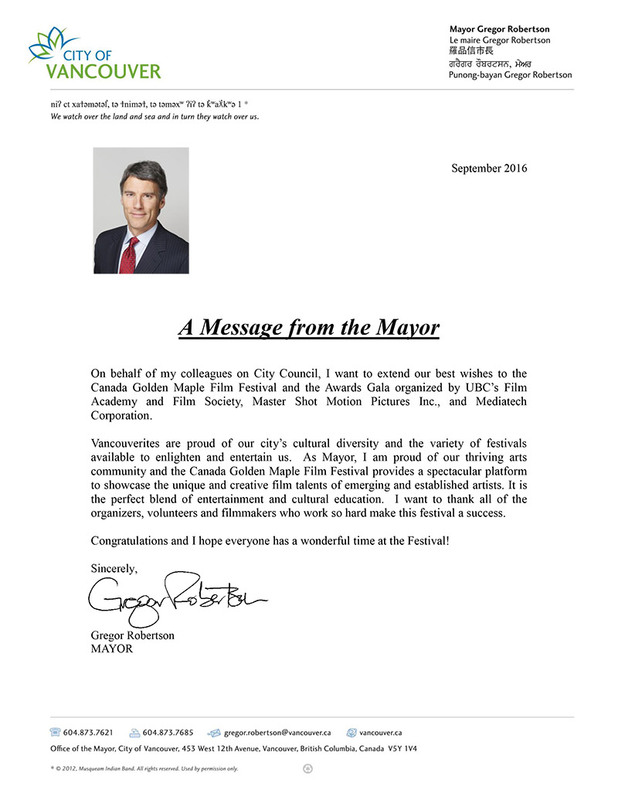 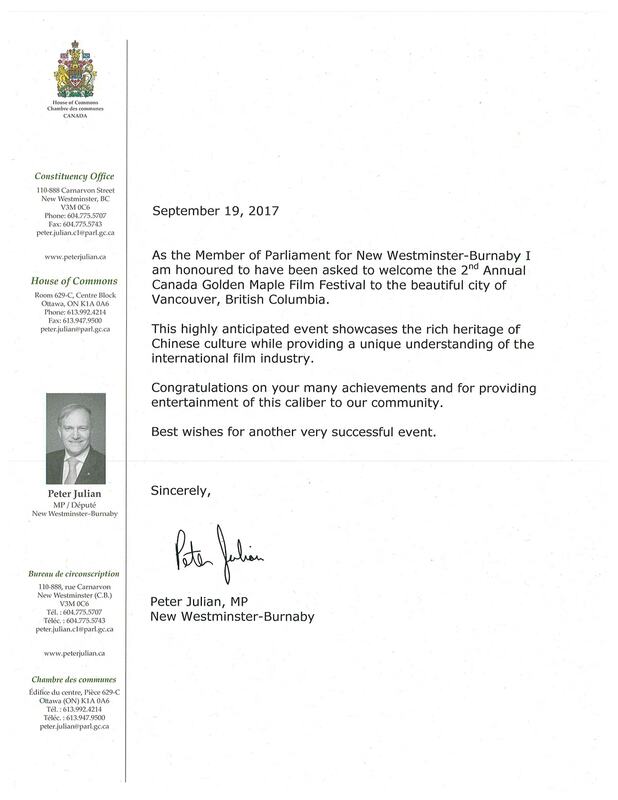 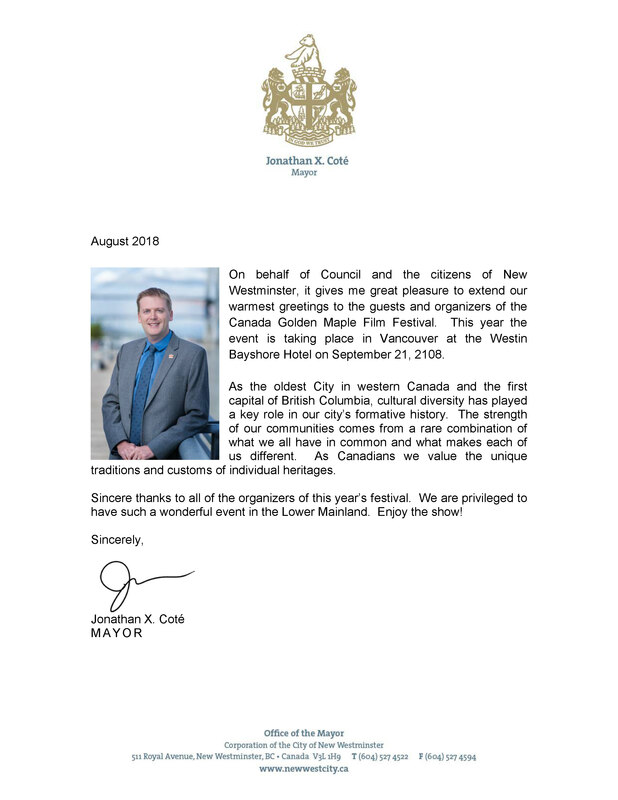 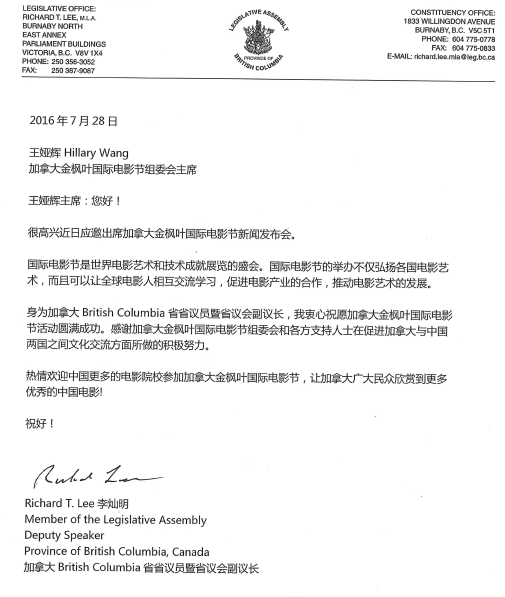 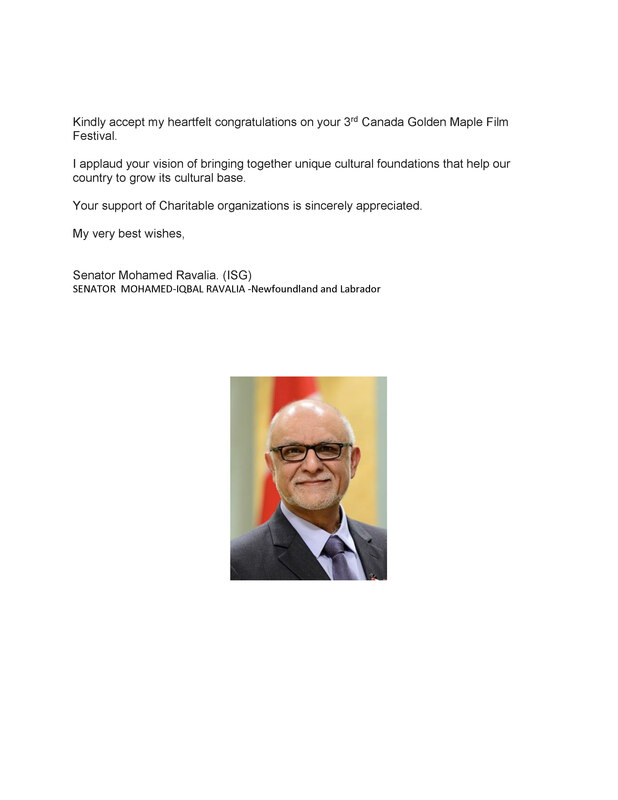 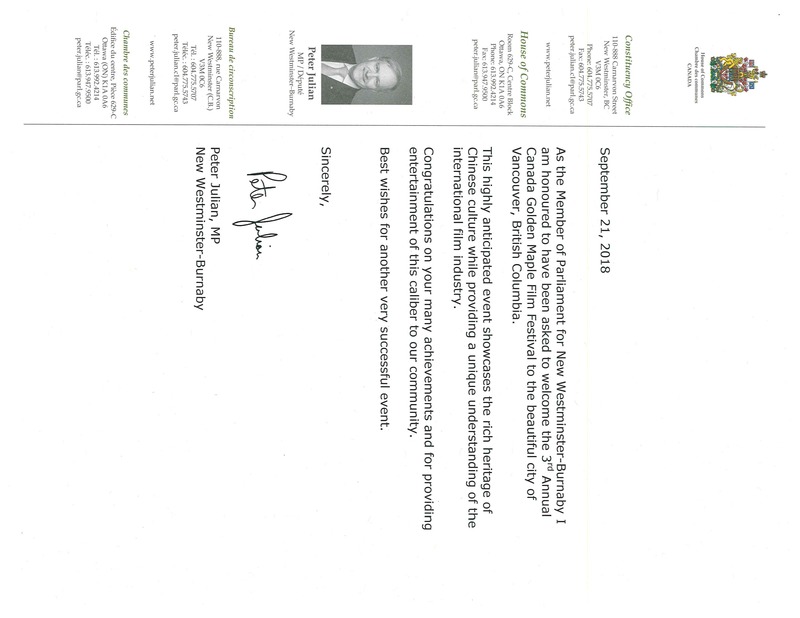 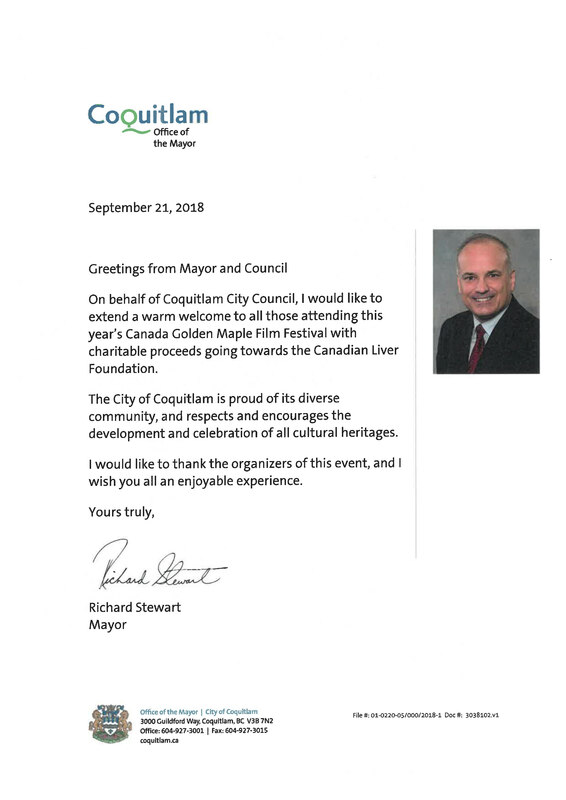 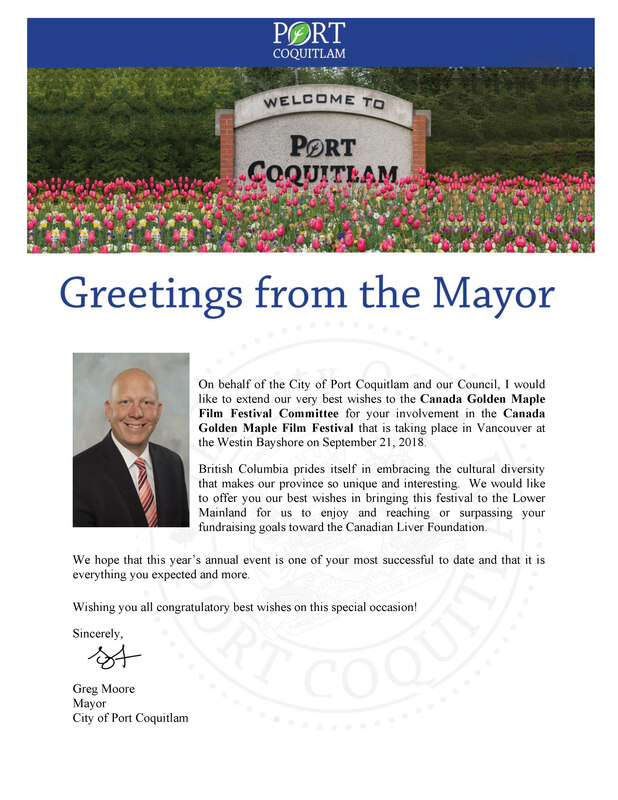 Minister of Canadian federal Multiculturalism, Federal Film Board of Canada, Government of British Columbia, the Chinese Consulate General in Vancouver, City of Vancouver, etc. 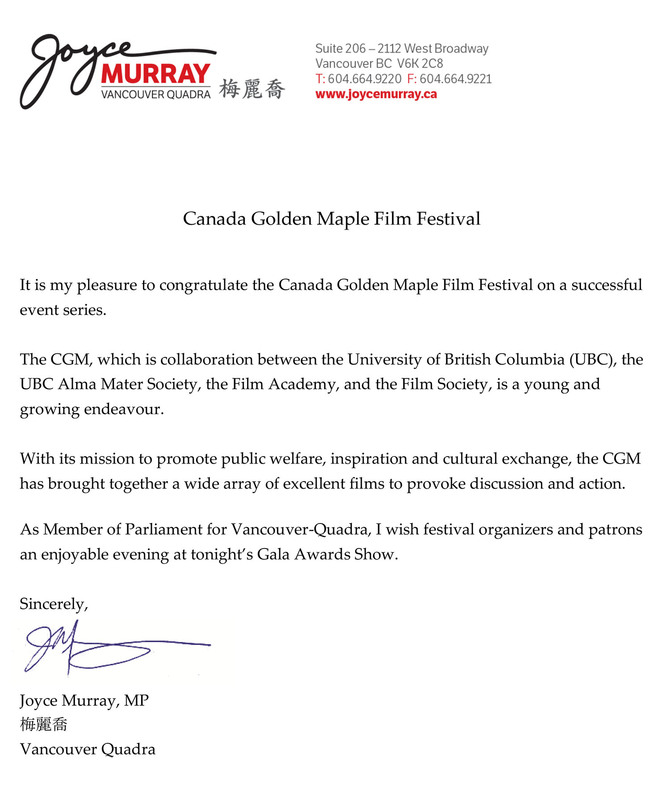 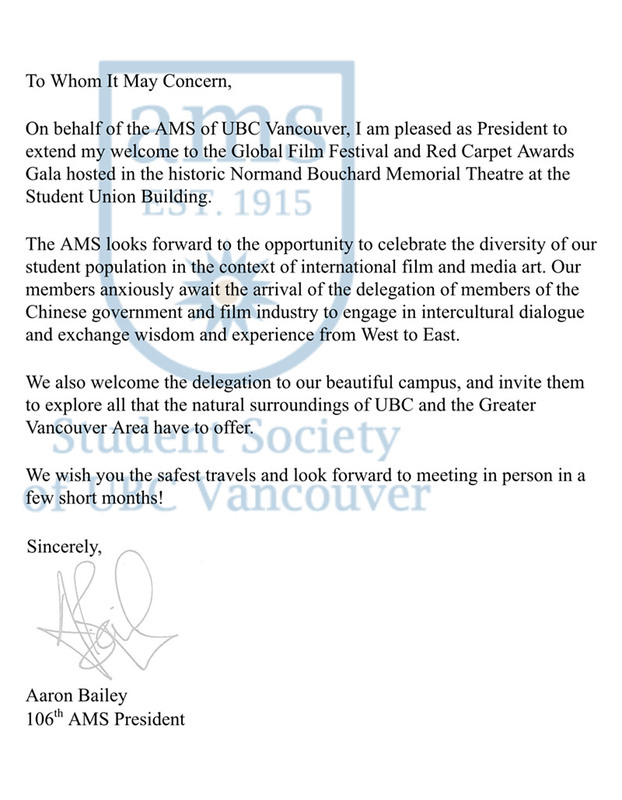 CGM Openning Ceremony / Red Carpet / VIP Dinner / Shortlisted Awards in Downtown Vancouver.